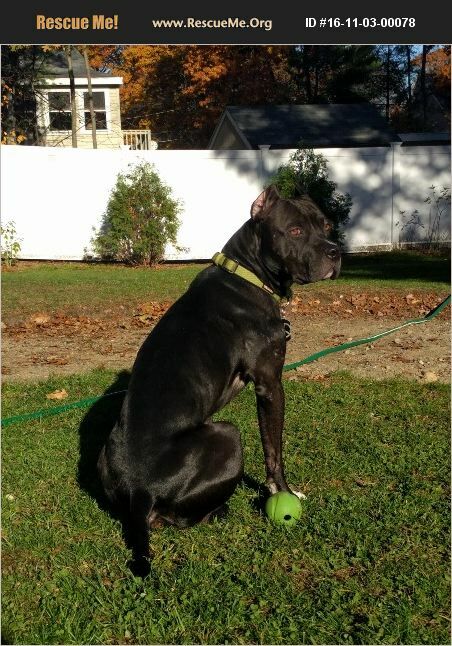 Massachusetts American Staffordshire Terrier Rescue View other American Staffordshire Terriers for adoption. Gator is ready to be part of your family! Gator is an affectionate, energetic 20-month old puppy who is ready to find his forever family. Gator's first few years haven't been very stable, but he's full of love. He is the ultimate snuggler- at his happiest curled up with his head on someone's lap giving kisses. Despite his loyalty and affection, Gator also does very well when left on his own. He's even happier if he's left with a peanut butter Kong to chew on for a few minutes before settling down for a nap. When you're ready to be out and about, Gator wants to join - he's still an energetic pup! He loves car rides - crack the window and hes in heaven. He also loves going on walks, hikes and runs. Just show him his leash and he'll head straight to the door with a few happy leaps on the way. Gator already knows 'sit', 'stay', 'paw' and 'down.' He is food-motivated (and gentle taking treats!) so will be a quick and fun dog to train. He likes other dogs but can be nervous when first meeting them so will need some continued training and an owner who is willing to take things slowly. More than anything, Gator wants to find a family. He is looking for an owner who will enjoy his energy, loyalty and love and can offer a calm, stable home in exchange.